If so, how should you plan for a successful transformation? Longstanding desktop platform leaders are all evolving their solutions to be cloud-based. 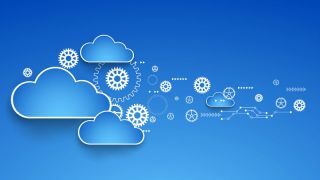 Citrix and VMware have had evolving cloud strategies, while last year saw the announcement from Microsoft of their Windows Virtual Desktop (WVD) along with the Nutanix acquisition of Frame (now Xi Frame). While Microsoft WVD is only just entering the cloud market with their newest desktop offering, it will be a game changer and companies need to be thinking about how Desktops as a Service (DaaS) can fit into their overall IT strategy. This article aims to provide some insights into the process that you should endeavour to follow to ensure your users will have the best experience possible. As we know, if the user experience is not as good as the one they currently have IT will be inundated with help desk calls. Hopefully, if you follow these best practices then the user experience will not only be as good as, but better than, their current environment. While considering your move to cloud-based resources for your desktops, you’re likely to also have to move from Windows 7 to 10 or maybe even a move from an earlier version of Windows 10 to a later version. Now is the time to ensure that you not only update your desktop delivery but also ensure a smooth user transition between operating systems in order to avoid a loss of use productivity. To be fair, the following suggested best practices should be considered for any desktop transformation, but there are some specificities surrounding cloud - such as cloud native object-based storage – that should form part of your considerations. Prior to undertaking any transformation, you should always baseline your current user experience. By doing so, once the transformation has been completed, if your users are dissatisfied you can demonstrate that the new environment is, in fact, far more performant than the previous one. Occasionally, the reverse may be true and they are actually working in a less performant way. Either way, having baselined the previous environment, you can prove which version is better and then set about rectifying the situation; whether that involves resetting users’ expectations or remedying the defective element(s) which should be highlighted in the reporting from the baseline tool you’ve deployed. As with any IT transformation, it is highly recommended to implement a pilot to a designated set of users. The best set of designated users should be identified as part of the planning process. Depending upon what assessment tool you have will determine whether the selection process is a methodical, automated one or a manual process. But it is recommended you include a selection of users to stress test during the pilot phase. In planning to move your selected users to their cloud desktop, you must ensure that their current profiles and personas can readily adapt to the new platform to avoid tedious user migrations and downtime. If a user doesn’t have a familiar desktop with their favourite bookmarks and local printers set up, then your help desk will be swamped! By utilising a solution that can seamlessly migrate profiles from on-prem to the cloud you will ensure user satisfaction. By saving user profiles to both on-prem storage message blocks (SMB) and object-based cloud storage you will create the perfect backup scenario in the event of a disaster. You can also provide a redundant standby cloud-based desktop in the event of a disaster if you have mainly on-prem based desktops. Your organisation will also benefit from defining an application strategy to most efficiently deliver applications to your new desktops. A proper application strategy will take an active inventory of applications installed vs. applications in use. It will also help you determine how to deliver applications to desktops. Now is the time to consider emerging technologies, such as application layering, to ensure you’ll realise the benefits of efficient base image management and possible application license savings. During this phase continual monitoring of the new environment is a must. Ensure that you not only have a monitoring tool but also one that can provide diagnostics too. It is inevitable that the new environment will provide some challenges – user or technology created – and having visibility into specifics combined with diagnostics will enable you to resolve issues far quicker. In many cases the tools available today provide remedial suggestions BEFORE issues occur! In reality, there is no “after”, there is only the “now”. After all, desktop transformations are cyclical and you must always have an eye on what your organisation plans to do next. But as with the “during” phase above, it is imperative you continue to monitor the environment to ensure continuous user satisfaction. A key thing to remember is most users really don’t care where their desktop resides, all they care about it how can they access the applications and resources required to conduct their job. Having solutions that can deliver “just in time” applications, independent of the Windows OS version and delivery platform, will again help to create the ultimate user experience. Make no mistake, all of the major cloud vendors are interested in the virtual desktop market because it consumes cloud computing. This is great because it continues to foster innovation and easy and cost-effective ways that customers can consume cloud compute and storage. During 2019, we will see Microsoft Azure, AWS, and Google putting marketing efforts and increased presence into catering to virtual desktops. Azure may have an edge with the emerging WVD from Microsoft but Amazon has first mover advantage with their AWS WorkSpaces offering, and Google has already increased their presence in the virtual desktop community with a desire to make it easy for customers to consume Google Cloud. Whether you are already moving some of your desktops to the cloud or planning to do so, this is a move that requires careful consideration and planning. Hopefully this article provides some guidance as to how you can best accomplish this for your users and your organisation.